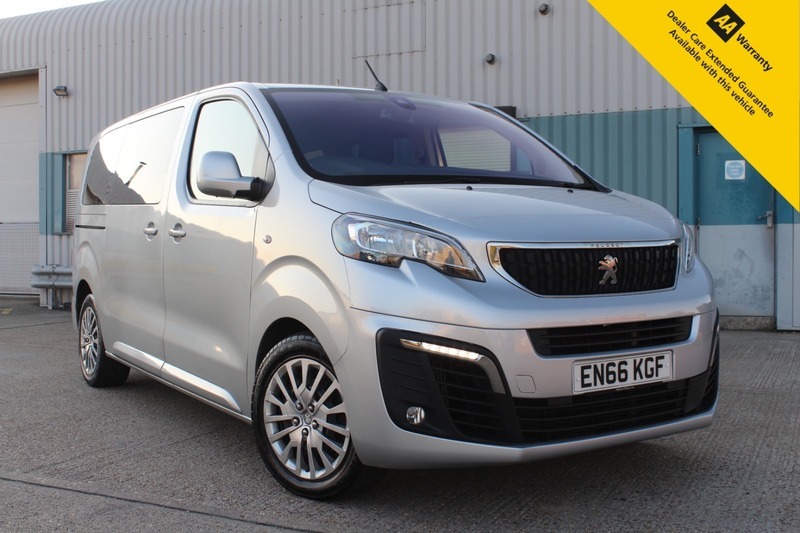 Leigh Cars Ltd are delighted to present this 8 seater Peugeot Traveller Active Blue HDi in metallic silver, this people carrier comes with fantastic full main dealer history and paperwork to back up everything completed. This will make someone a great addition, it drives exceptionally well and comes with good list of spec including Air Con Climate Control, Cruise Control, Bluetooth, Rear Parking Aid, Touch Screen Interface for the radio and media settings, with 8 individual seats this would make a great car for a large family or someone who needs a lot of usable space, with removable seats you can turn this into workhorse in minutes. At only £140 a year to tax and returning over 54 miles per gallon on a combined run this vehicle is cheap to run as well. This car is in great condition inside and out, compliments to the previous owner who really looked after it. It is one of the cheapest in the country, this one will not be with us for long so if you have any questions get in contact ASAP.